Darn, you are so clever. I want you to be my friend. Such the illustration makes me fun and joyful! 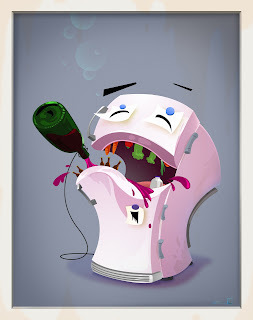 Who can imagine that the fridge does like a drunk person like that? Nice job. You did impress me! Ha ha! So funny! When feeling down, even a fridge can be drunk. I like it!